Early registration will secure your place in this program as numbers for this event will be limited. 2 Steps are required to secure your place in this pre-festival workshop. 2/ Upon completing and sending the form below, your payment for AUD$149 (+GST) can be made through the BUY NOW button below and is required to secure your place in this event. Pre program information will be forwarded on receipt of your registration and payment. Fees Include:- 1 full day of experiential learning with the Dune Lakes herd, venue, horses and all equipment and insurances and notes to take away. Vegetarian/vegan fare is available for purchase for lunch, or you are welcome to bring your own. We will get back to you with confirmation upon payment received and also send a small workshop preparation reflection to enhance your experience at the event. This unique journey will enhance your ability to finely tune in to both your inner environment, to Horse, others, and your outer environment, and with this practice over time, you can learn to responsively act in any moment with full awareness, rather than re-acting. Whether you have horses in your life or not, are an equine learning facilitator, therapist or an equestrian, this program is for you if you yearn to connect at a deeper level with yourself, horse or others, and live at a deeper more intuitive level so that you can enhance your skills for contact and connection with others, holding space and ‘being while doing’, in full body presence. Gain deep insights into your beliefs, thoughts, emotions and often unconscious ways of being and doing, - especially important when living in this fast paced world where connection to intuition and alternate ways of knowing are vital for accessing your innate wisdom. Explore and gain clarity on an issue or challenge that is showing up in your life through experiencing an embodied coaching process for greater congruence, alignment and integration. Once you are more aware of yourself in each moment, along with the context in which you find yourself in, with practice, you will become more resilient and can act from a place of “heart based authenticity” and be at choice. In doing so you release yourself from past conditioned ‘re-actions’ that have you acting like a programmed robot and flow into a whole bodymind living, breathing, attuned being who is guided from deep within. This experiential, hands-on learning easily transfers explicit didactic head based knowledge to your implicit body based memory, creating new neural pathways of awareness and success. This allows you to easily take the insights and solutions that arise and by taking action, integrate them into your daily living. - to ‘be-in’ a state of full bodied presence. Horses are innately connected to their full body intelligences and tap into this ‘inner-tuition’ through their inner and outer senses. In doing so they provide natural biofeedback, helping you to learn about yourself and your inner and outer world. With their huge heart and gut, they can help you to learn to listen to the quieter wisdom of your own heart and gut, rather than the often over riding voice of the head. Learning to balance your communication and connection to the distributed intelligence of your body, your emotions and your thoughts, connects you with non local ways of knowing and promotes the living of a congruent, aligned and integrated life. Deeply connecting with your heart based compassion, head based creativity and gut based courage ensures you can be the author of your life, more easily make decisions and find your own answers. This is the essence of living an Embodied Life. Presence always, always precedes tools and strategies. 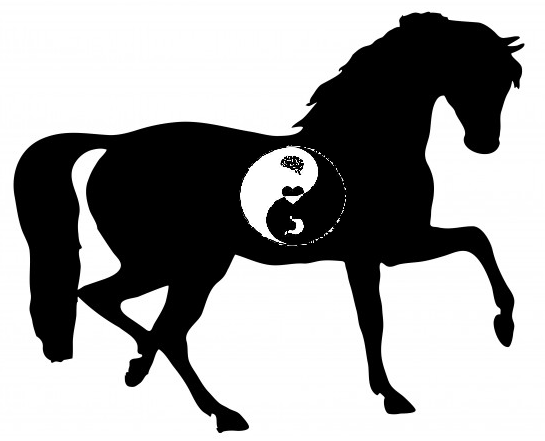 This interactive workshop will weave transformational experiences with horses along with other somatic (body-centered) learning, including authentic movement and Taoist practices for grounding and centering. Guided by the horses of Dune Lakes and facilitated by Cheryl Cruttenden - you will transverse unfamiliar inner and outer territory and learn new skills that can be integrated into your life, and the way you lead yourself and others. As you practice, you will find you are increasingly able to truly and deeply embody living at Highest Expression, and emerge a more grounded, authentic and evolved person. Cheryl grew up with horses, and with a background in outdoor experiential learning and education, she is certified and trained in various approaches to Equine Facilitated Learning and conducts coaching and training in the field of Horse. She is a Gawler trained Mindfulness Meditation teacher, multiple Brain Integration Techniques Coach & Coach Trainer, a Values Based Executive Life Coach, Archetype Coach and Tai Chi practitioner of over 30 years. Cheryl’s philosophy and approach to human evolution is based on ‘oneness between horse, human and nature and sharing the gifts each have to offer to unharness the human spirit’. It's about evolving yourself to live your life at the Highest Expression in deep connection to the distributed intelligence of the body and through this communication and alignment, tapping into your emergent wisdom from a place of embodied presence, so as to have the courage to live the life you dream of with passion and purpose.